One of the things I like to do when traveling is look for different foods and drinks. And in my travels to Cabo San Lucas, I found something I haven’t seen in ages: Delaware Punch. So of course I had spend 11 pesos on a bottle of it. The Delaware is not referring to the state, but to the name of the county in Ohio and the type of grape that the flavor of this soft drink is based on. It’s been around since 1913 and was widely available for years, but today, it’s extremely hard to find. So when I saw it available in Mexico, it was a no brainer to try it again. This punch is pretty close to the original taste that I remember. Now granted, this was going back a good 38 years to when I enjoyed finding this soda in glass 16 oz bottles at my local corner store. It’s a bit sweet, but smooth. And once I cracked open that plastic bottle, I was reminded why I loved this drink as a kid growing up in California. The lack of carbonation is nice, which can something ruin a different drink like this one. If you can find this local to you, I highly recommend you try it. It might be something you like. Anyone else remember Delaware Punch? Never heard of it before. I bet the reason that it tastes pretty much the same is that in Mexico they still use sugar in things rather than high fructose corn syrup. My husband came home the other day with a case of Mexican Coke and I have been loving it. 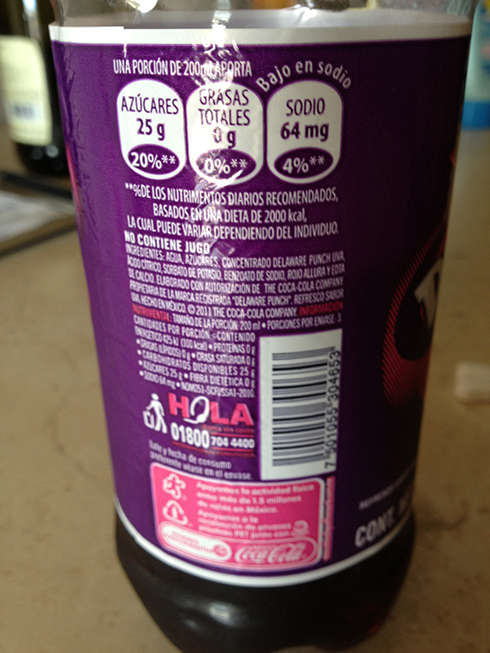 Yes, I’m sure doing a translation on the ingredients, one of those items is sugar. I know the Delaware Punch I drank as a kid had real sugar. I do enjoy the Mexican Cokes and am glad they are widely available here in the US. Nice. Hope you enjoyed it. 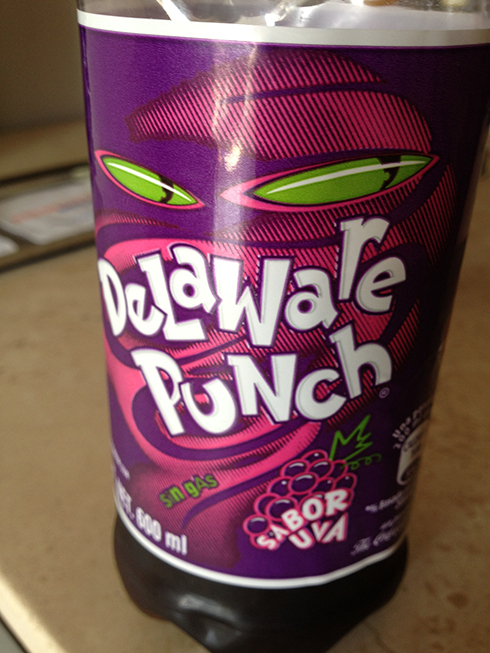 I loved Delaware Punch as a kid. Where in Texas can someone buy this? I sure miss it. I drank the concentrate as a kid. Just of been cheaper. Lol! Not sure where in Texas this would be sold at. I would check local grocers.